Until you put your life in the hands of a boat, it's difficult to describe how personal one's feelings are. Yes, she irritates the hell out of us, but in the end, Wings has taken across an ocean and down a continent. I'm a science guy but that's still how I feel. It was wonderful to see her again. She's 32 years old this year, and we still think that she's the prettiest thing afloat. Tiare Nui this morning, washed fresh from the nightly rain. 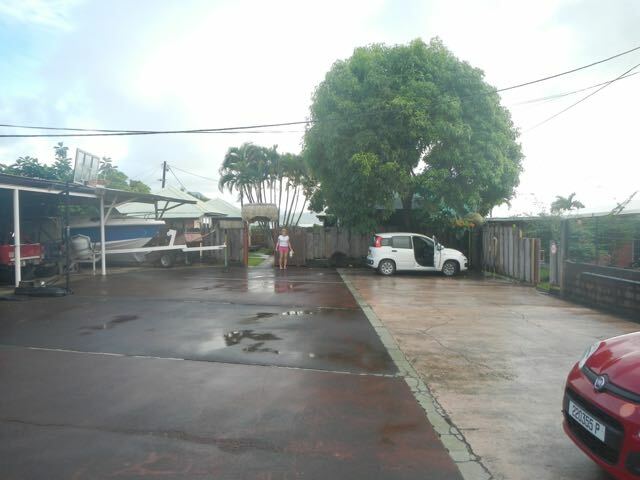 Our little, white Fiat awaits our first trip to the Raiatea Carenage. Conni poses at the pension entrance. 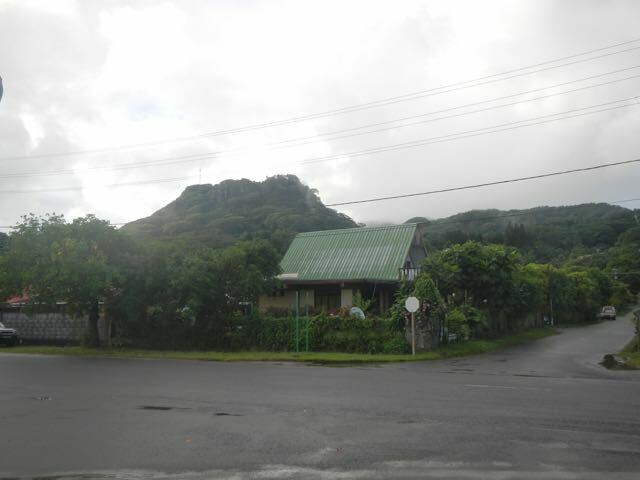 Across from our bungalow are the mountains of Raiatea peeking through the clouds. 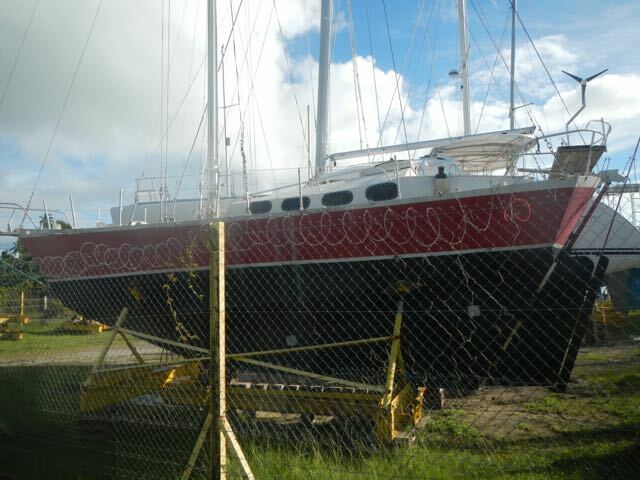 When we arrived at the carenage, we found these two derelicts ready to be disposed. 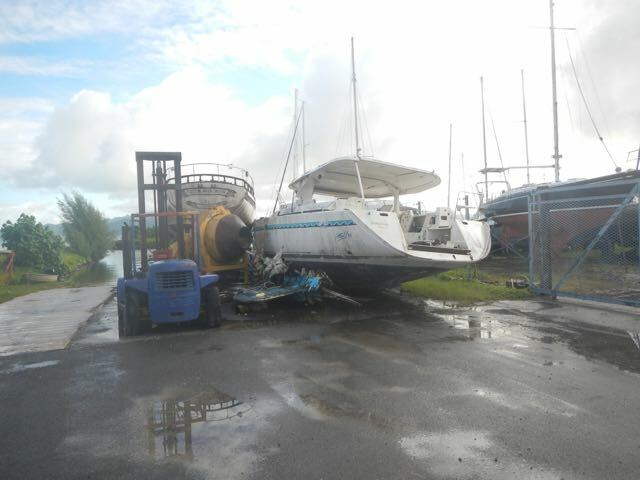 The vessel whose stern we see here is a Dufour, a well-made French yacht but with her starboard side ripped out from some unknown collision. It wasn't coral since it was too high. We'll ask. Bernard Moitessier is one of my heroes, having been the prototype of the French single-hander. He died in France on 16 June, 1994 after a long life on the water. This was his last boat, homemade by him in France. It's always a treat for me to see her. If you think that you'd like to read some of his work, try "The Long Way". WINGS! She's fine, as you can see. 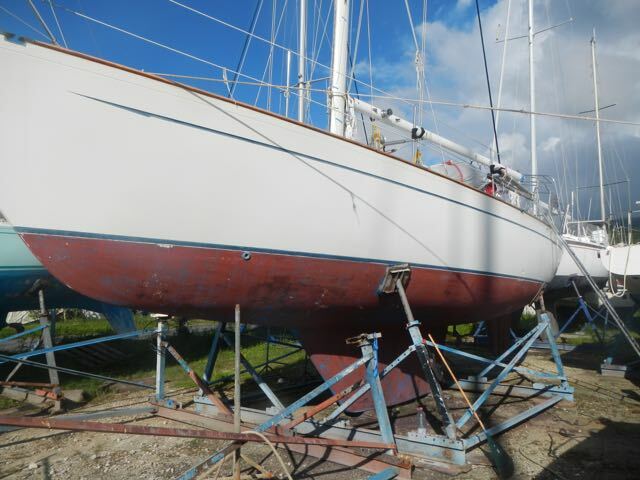 The cap rails, the teak rails surrounding the top of the deck, have been sanded to bare wood and the bottom preped for painting. We imagined that she was glad to see us, too. 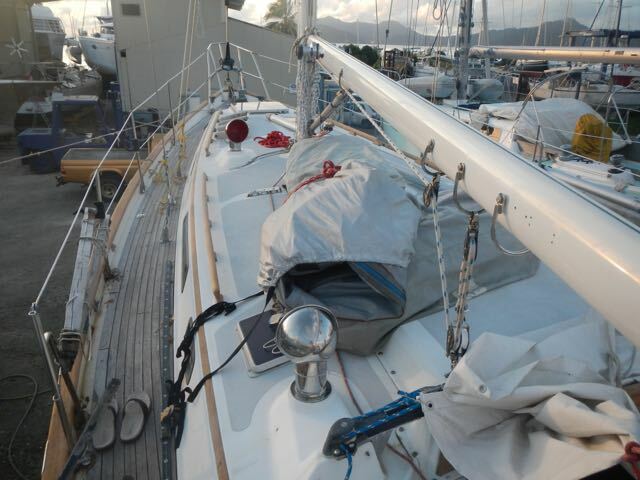 Wings resting in her cradle in the bright South Pacific sunlight. Wings on deck. As you can see, the light color of the cap rail means that there's no varnish on them. 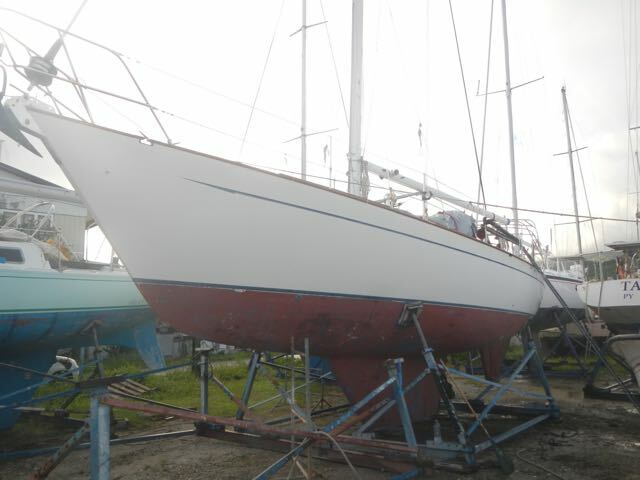 She's a mess, but we'll put her right: shipshape and Bristol fashion, as the phrase goes.